DENVER, CO, UNITED STATES, April 3, 2019 /EINPresswire.com/ -- For the third year in a row Telideo Productions, Inc., a Denver-based corporate video production and animation company, has continued to grow its revenues, achieve profitability and increase its customer base while maintaining zero debt. Telideo moved its operations to the Golden Triangle area of Denver in April of 2016 to expand its production capabilities and return to its founders hometown. 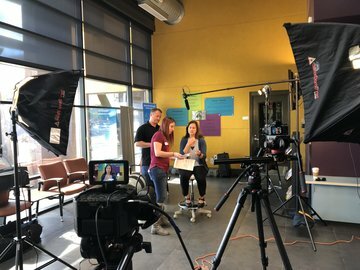 Originally founded in Seattle, WA in 2014, Telideo is a Denver-based corporate video production and animation company with deep marketing, communication and go-to-market expertise. The company specializes in producing original video and animated content for corporate websites, marketing campaigns, trainings, corporate communication and more. To learn more about Telideo Productions and its video and animation services, please visit http://www.telideo.com.